It has a small but dedicated readership — a smart, knowledgeable online publication catering to a young, politically savvy class of readers. In short, ‘Khabaristan Times’, the satirical Pakistan website poking fun at state and society in equal measure, is a project worth admiring — and vigorously defending when it comes under attack by a paranoid state. As disclosed by the publishers of ‘Khabaristan Times’ and corroborated by a report in this newspaper, the Pakistan Telecommunication Authority has blocked the website. 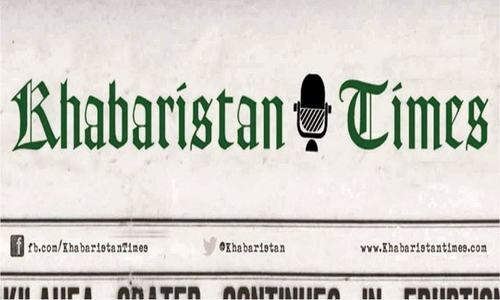 No official notification has been sent to the website’s publishers; they were not given a chance to respond to the allegations against them; and, according to unnamed sources at the PTA quoted in this newspaper, the action was taken because of so-called, unspecified objectionable content in ‘Khabaristan Times’. What is clear is that the PTA action is unwarranted, ill advised, an assault on a thoroughly democratic tradition — and probably illegal. The ban on ‘Khabaristan Times’ should be reversed immediately and the PTA must be forced to disclose the complainants if they are state agencies, as well as explain the basis for taking such an extreme step. The widening and deepening assault on free speech and particularly on the media is a source of great worry for right-minded and sensible people in the country. 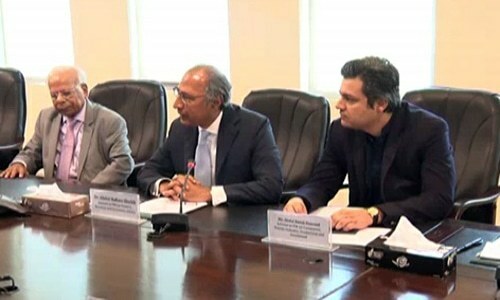 With internet usage growing swiftly in an age of relatively cheap smartphone technology and expanding coverage nationally of mobile data, the state is ramping up its oversight of the online market in Pakistan. Part of that is necessary, for example, when it comes to militant propaganda and online crime, but a great deal of it is arbitrary or designed to muzzle speech that the state is uncomfortable with. Poorly drafted laws and regulators who are beholden to state authorities are causing the very worst impulses to be acted on. That is simply unacceptable, and in the case of the ban on ‘Khabaristan Times’ it appears to be rooted in an ignorance of satire. 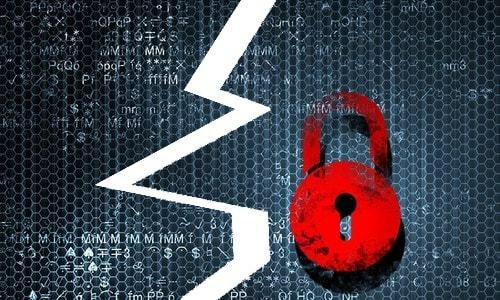 Whimsical, politically motivated bans have no place in the great, democratic online space. 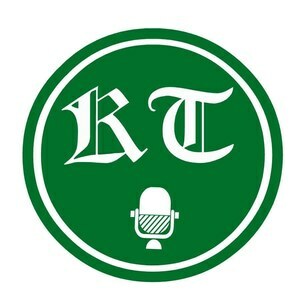 Why has Khabaristan Times been blocked? They are scared of the word and feel threatened by it. They are afraid that the people would know the word. They fear they would lose power if the word came out. It all begins with the word. My love for Pakistanis grew by another step after going through the Khabaristan Times! Please folks, don't let them take down your freedom of speech and expression! Let Khabaristan Times plead the case in a court of law against PTA's unwarranted and illegal action against it. The PTA's action is a stab into democratic norms and freedom of expression. Long time ago we used to have an Urdu magazine "Namakdan" and Majeed Lahori was its senior columnist. No one repeat no one was safe from his pen. It was well tolerated. It provided laughter. It was a valve to let the steam out. It performed a valuable social function. Khabaristan Times is trying to be a social valve although in a much tamer way than 'Namakdan' did. Every society needs such a valve. What is it that PTA is afraid of? This is really shameful to ban Khabristan Times just because it points out the shortcomings of our system and represents young readers. They also have content on India and I enjoyed it. Nice website. Ban is unfortunate. I feel you but they were criticizing everyone except themselves. So guess that's their fault.